Nokia launched a new service for its music lover users. 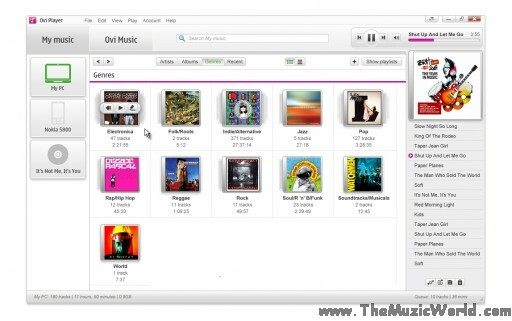 The new service Ovi Music Unlimited is coming with few phones of Music Express series like X6, Nokia 5235 etc. Ovi Music Unlimited gives you all the music you want from the artists you love. All you have to do is to subscribe the service on your enabled device. During your subscription period (12 months) you can download unlimited free music from the Ovi Music to your PC or over the air to your compatible Nokia device. Everything you download is yours to keep, even after your subscription ends. Your download history is saved, so you can recover anything from your new music library for up to three years after your subscription ends. 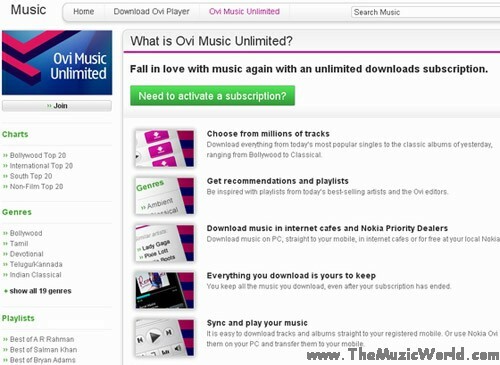 And the best thing about Ovi Music Unlimited is that its legal. So even though you download the music free, you know that the artists you love are getting paid for the music they make :) Ovi Music Unlimited is having a wide range of genres from Bollywood to Non-movie song and from regional to international music. Charts are refreshed regularly. So you will get the latest music for yourself, all the time. All of the songs are in standard file size. So, you can download them easily on your phone. And since, Ovi Music Unlimited enable devices are 3G enable too, you can download them faster. You can also activate your subscription on your computer and can use it to get your music on your preferred device, mobile phone or computer. Ovi Music Unlimited is having a huge collection of 4 million. So,you will never run out of your favorite music. . . . . . . So,just give it a shot. I know, it gonna rock you for sure.